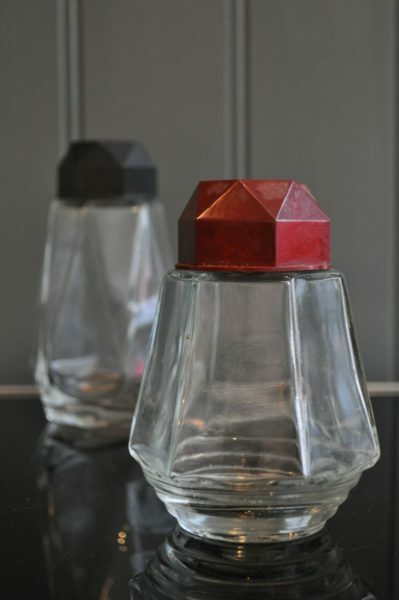 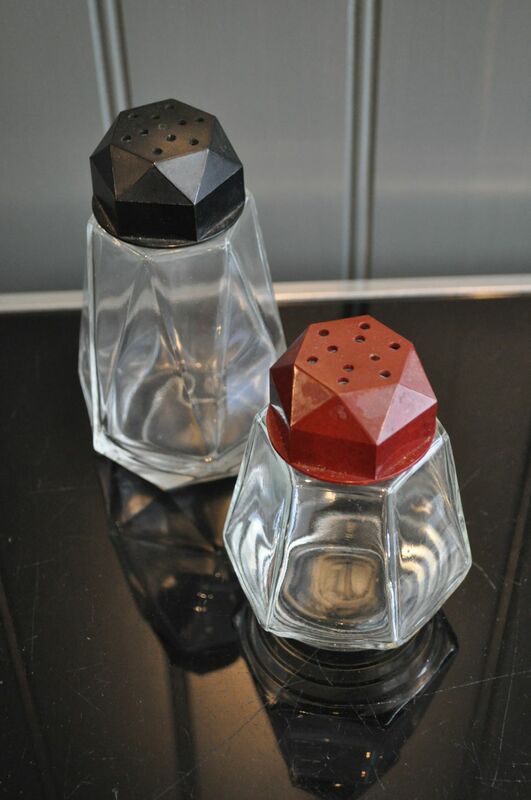 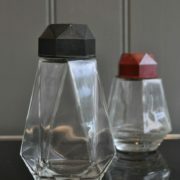 French glass sugar shakers with bakelite tops, one red, one black. 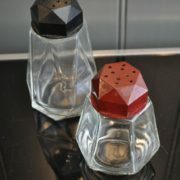 Dimensions are for taller black shaker, and price is per piece. 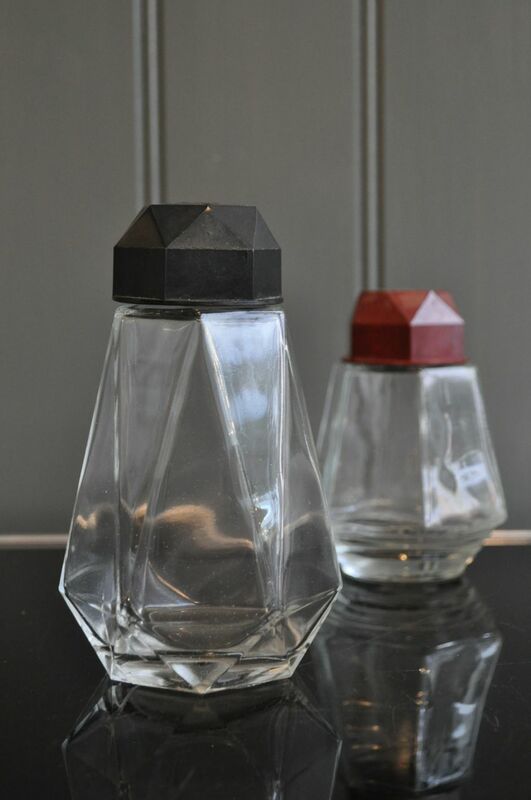 Happy to sell individually.